Do you need a minor touch up? A full color change? For the best fleet and truck painting in Plant City, Florida, contact Florida Truck and Trailer. We are equipped to handle all your painting needs, from minor touch ups to full color changes. With our two modern paint booths that meet all EPA requirements we can accommodate any kind of truck, trailer, fleet or heavy equipment. 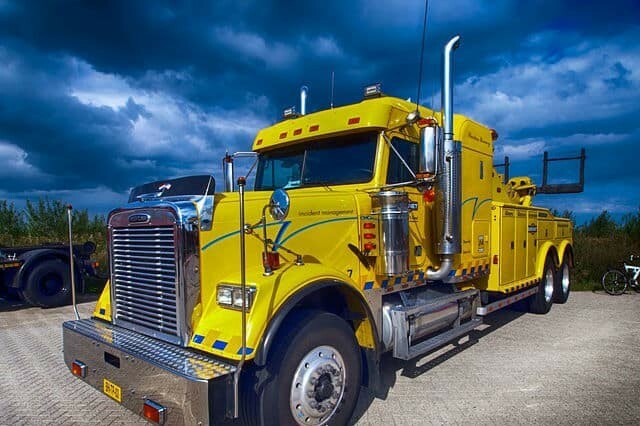 For over 40 years, Florida Truck and Trailer has been the leader in providing expert paint and collision service in Plant City, and throughout the state of Florida. We can paint your equipment to meet any design specification or match your fleets colors and manufacturers specifications. We use only the best Dupont paint to insure your vehicle receives the highest quality finish. Whether Single stage, Base coat – Clear Coat systems, we mix all our paint on site. With the use of our color matching camera equipment we can insure your job will be performed to rigorous standards providing you with a perfect match and a thoroughly cured paint job. Why Choose Florida Truck and Trailer for your Fleet, Truck or Heavy Equipment Painting Needs in Plant City, Florida? So, when your truck or trailer is in need of painting, look no further than Florida Truck and Trailer to get you back on the road looking like new. If you were involved in an accident, we can assist you with all aspects of insurance claims to limit the down time of your truck and get you back on the road as soon as possible. Contact us or stop in to see our state of the art facilities at 3500 State Road 60 East, Bartow Florida.